Most energy workers believe anyone can learn how to see auras with the right training. There are a few methods that train you to see a person's aura. Some people can naturally see auras. According to GAIA, the difference in these people and the average person is energy awareness. In setting out a method to sense energy, GAIA suggests attempting to sense the energy inside your own body. Once you've been able to do this, you'll attempt to sense the energy that another person radiates. From this point, try to sense the aura first and then see it. According to Rodrigo Medeiros at Reaprendentia, a non-profit organization with a specialty in conscientiology and education, no psychic ability is required to learn how to see auras. Rodrigo suggests that paravision (the ability to see non-living things) is an ability that can be trained to trigger visual clairvoyance in order to see auras. Rodrigo states that psychic abilities are not a gift but something anyone can train to do just as he did. His technique trains the individual to focus on different points, such as the toes, while lying on his or her back. This practice aims to train you to see aura colors within the field of vision between your eyes and your toes. The easiest method for learning to see auras is to take your eyes out of focus while looking at a person. The lighting should be enough so the person isn't sitting in shadows. Don't spotlight the person. Sit directly across from the person so you're about four to five feet apart. Take three deep breaths and relax your shoulders. Look at the person's head. Find a focal point, such as the third eye (center of forehead) and slowly allow your eyes to go out of focus. As your eyes lose focus, you should begin to see a radiance around the person's head and possibly shoulders. This is usually a type of fluorescent-colored or yellow-white glow and is considered the first layer of the human aura. Partner with someone who wishes to learn to see auras. Each of you should sit with a light-colored wall behind you. Take three deep breaths each time you restart. This will keep you relax. Tell each other what you see and how wide the aura is. Be patient. Just like learning any new skill, you will need to practice training yourself to see beyond your normal vision. With practice, the auric field will grow wider each time. Eventually, you'll begin to see various colors. You may be surprised by streaks or patterns of colors, such as purple, green or yellow radiating around the person. 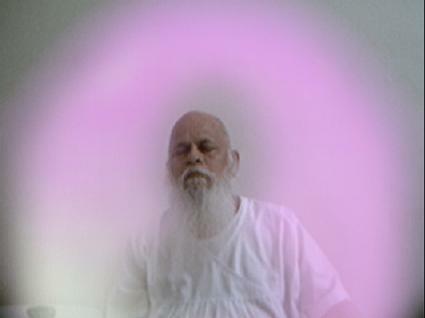 Some practitioners use a peripheral vision method to see auras. This method is similar to taking your eyes out of focus since the subject isn't observed directly. Train your eyes on a point in front of you. Have the person step into your peripheral field of vision. It doesn't matter which side. You can stand, but it is far more comfortable for both of you to pull up a chair once you've established your positions. The peripheral vision, like the other method of your eyes being out of focus, allows the aura reader to see the person without looking right at them. 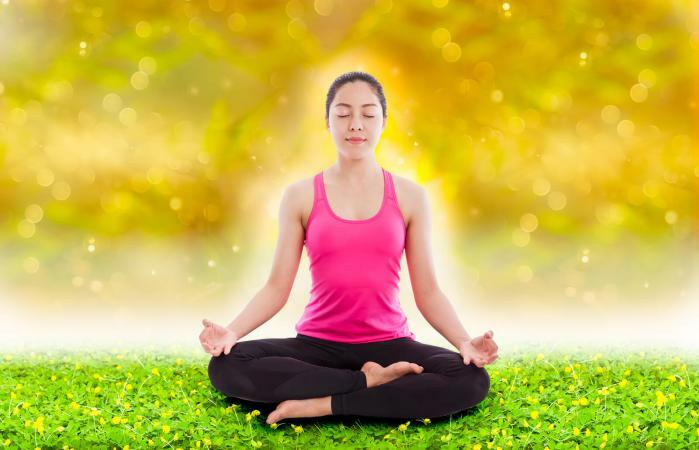 Just like other methods, this one will take practice to master, but you should be able to see the halo effect of the aura and then advance to seeing a wider aura and colors. You can try more than one method to see an aura until you find one that works best for you. The key to being able to see an aura is to practice and not give up.